This amazing array of sheer elegance and beauty is simply breathtaking and beautiful! 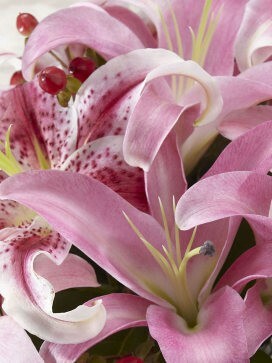 This enchanting and charming pink oriental lily bouquet has been hand-picked to prime perfection. 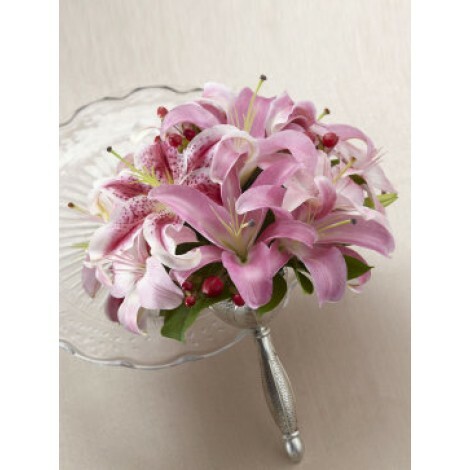 A truly perfect combination of three of the most beautiful lilies there is makes this an eye-catching beautiful display of elegance and grace. Featuring; pink lilies. 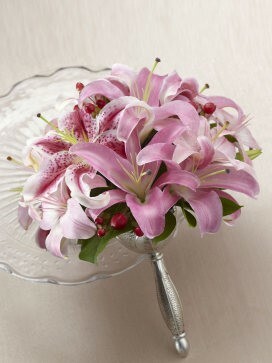 oriental lilies and asiatic lilies combined with eye-catching stargazer lilies. Perfectly presented in a metallic bouquet holder.